This darling little white and green checked cotton blend smocked bib is made by Rosalina, a leading designer of quality childrens' apparel. 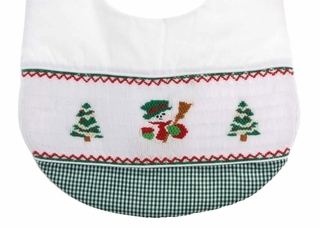 It features a beautiful band of white smocking embroidered with a snowman and Christmas trees.. 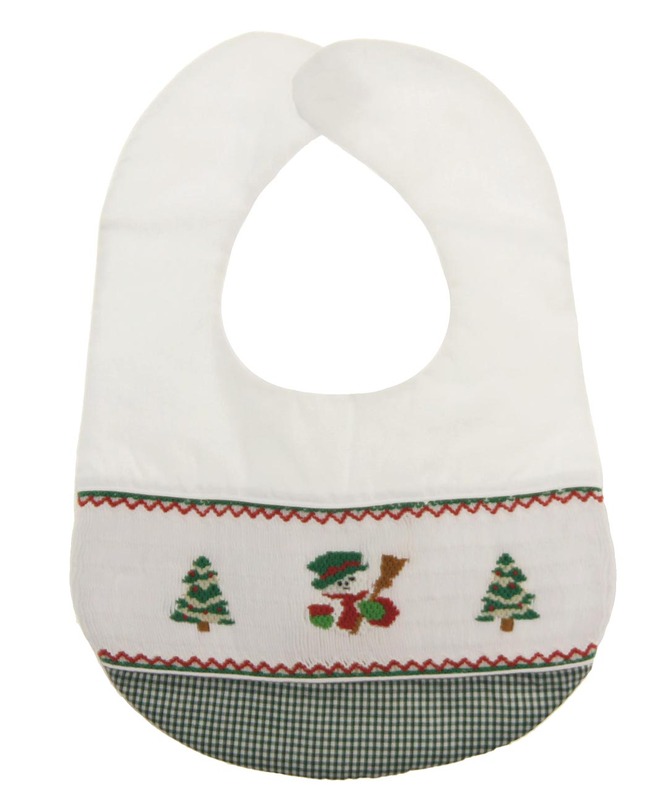 The perfect accessory for your baby's holiday outfits! Makes a wonderful Christmas gift for baby, too. Grammie's Attic has a wonderful selection of holiday dresses and holiday outfits for your baby, toddler, or little girl. You'll find velvet dresses and rompers, smocked portrait dresses and longalls for brothers and sisters, and Christmas outfits that are perfect for pictures, visits to Santa, and holiday parties. 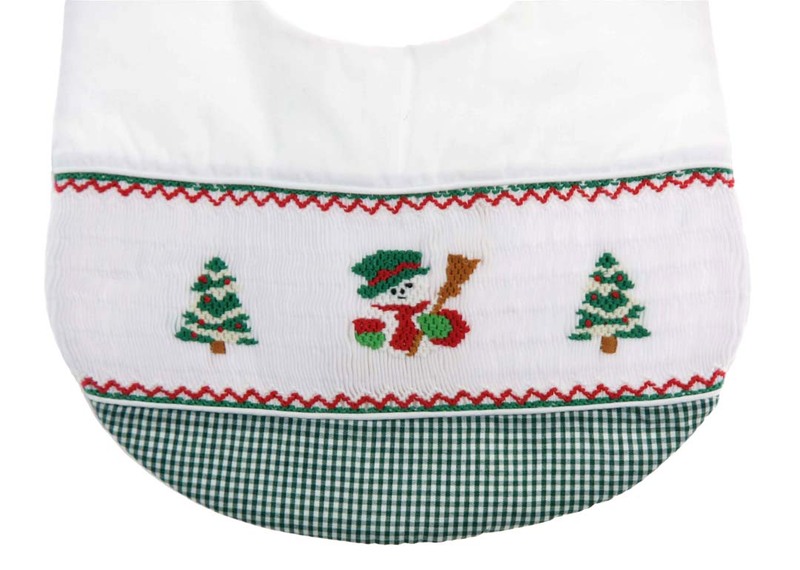 Be sure to see all of our children's holiday clothing from your favorite manufacturers, including Polly Flinders, Feltman Brothers, C. I. Castro, Will'Beth, Petit Ami, Carriage Boutiques, Sarah Louise, Sophie Dess, Rosalina, and many more.